Geometric wedding napkins featuring metallic rose gold foil imprint for the geometric frame and monogram with Ink printed watercolor greenery. These napkins are made in a two step process. 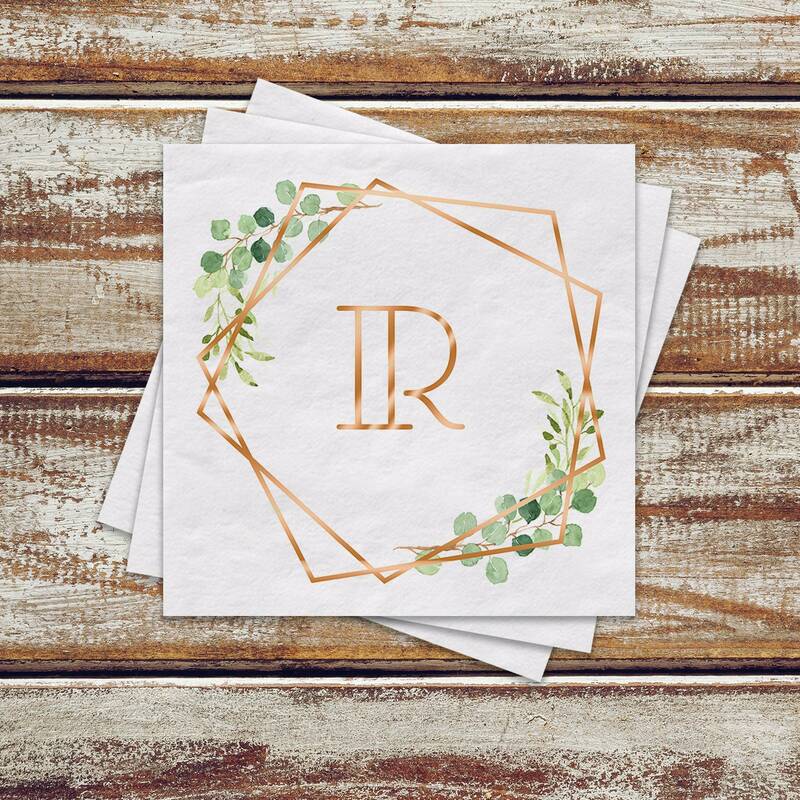 The first step is to ink print the greenery onto your napkins and the second step is creating the die that will imprint the geometric frame and your monogram in metallic foil giving your napkins detail that shines. These napkins are great for appetizers and desserts as well. A rule of thumb is to order 4 to 5 napkins per guest. Select quantity and foil imprint color, add your monogram, then add to cart. Production Time: 5 business days after purchase.